Another week, another dismal ratings report for Megyn Kelly’s new NBC morning show. In fact, things only seem to be getting worse. 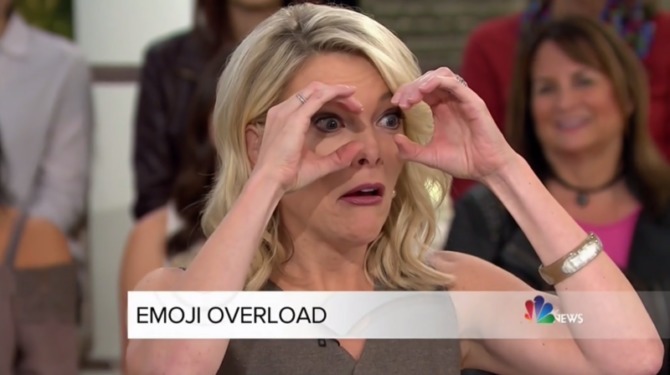 Viewership for Megyn Kelly Today slipped from 0.77 ratings points on Monday to 0.54 ratings points on Tuesday of last week. The source adds that NBC News president Noah Oppenheim and NBC News and MSNBC chairman Andy Lack “are in big trouble” after offering Kelly $23 million a year to join the network. It’s becoming abundantly clear that their investment is not paying off, and probably never will. In an effort to promote the show, execs had Kelly do an appearance on MSNBC last week. Meanwhile, Jezebel reports that several high-powered publicists in the entertainment industry are keeping their clients away from Megyn after seeing her crappy ratings and the poor response she got from A-lister Jane Fonda and the cast of Will & Grace. Kelly will be gone by Thanksgiving. I think by Halloween would be more realistic. Lets hope congress decides the Trump should go with her. It seems ironic that both she and Trump are in the same boat after considering their donnybrooks that broke out around this time last year. Poor widda wounded Fauxflake beeyotch. A whore who attracts only sewer scum…. NBC got banged in the a$$ on that one. She has “no path” to higher ratings. The writing is on the wall, NBC. What’re you waiting for? Your entire daytime line-up to tank in the ratings? Cut your losses and pull this bimbo off the air pronto! Why doesn’t she just invite Trump on every morning and they can be two burning garbage fires together? I’m sure ratings would rise ASAP. Now, NBC, pay me $1 million for figuring that out for you. get her off the air. what WERE they thinking? $23 million?!?! I thought they paid her $17 million. The 17 must be what FOX offered her to stay and NBC outbid them. Andy Lack at NBC, TRIED to turn NBC and MSNBC into Fox-lite. He tried to cancel their 2nd highest rated show with Larwence O’Donnell for being too liberal, but backed down after viewer backlash, he brought on Greta Van Sustran and she already failed, he spent a FORTUNE to bring on Megyn Kelly and now has cost NBC $23 million and LOST them ratings on their flagship show….. When is this guy going to get fired? NBC News is usually smarter than this. Why in the world would they think they could re-do Kelly to be a sunny-morning personality NOT talking about politics? Kelly was known for politics. She cut her teeth on politics as she was becoming a star over on Fox News. Perhaps Kelly didn’t want to talk politics anymore, but the Fox viewers tuning in probably wanted to see that. And my guess is the main broadcast viewers stayed away due to her Fox connection, not knowing she leaned a bit more liberal than most on Fox News. Why they ever thought this was a good idea is beyond me. It’s not like NBC/Today needed to do this. It was a way to get Kelly into the NBC fold, for sure, but what an expensive way to do it. No, they aren’t. NBC is still under the impression that Al Roker is a credible newsman and that Matt Lauer is still relevant. The only way they (NBC) can be looking at that entire morning fiasco they’ve created is that it can’t get any worse than it already is, so why get rid of Megan at this time. I bet next up after her will be Chelsea Manning. How could she be any worse than Megan?